Chinese policymakers say the country’s rapidly modernizing nuclear force is nothing to fear. They could do more to prove it. Unlike the United States and Russia, the Chinese government has yet to adopt legally binding limits on its nuclear weapons or strategic nuclear delivery vehicles. Beijing’s nuclear policies are an important component of the global and regional balance of power and China is both a rising international power and the only acknowledged nuclear weapons state in East Asia. Constraining China’s nuclear build-up is a prerequisite for achieving further global nuclear arms control and for reassuring China’s anxious neighbours. 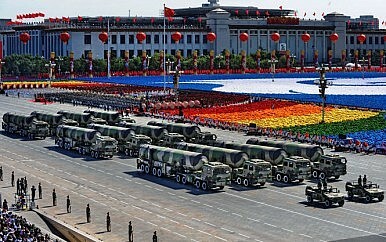 But although China appears to be modernizing its nuclear forces more rapidly than any of the five established nuclear weapons states, Xu sought to downplay foreign concerns, arguing that, ‘The most basic feature of China’s nuclear strategy, in a nutshell, is to be a deterrent but present no threat.’ Xu later told Reuters that his commentary intentionally sought to overcome concerns in India, Japan, and the United States about China’s nuclear modernization program.